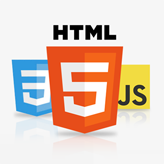 HTML and CSS are basic web languages used in site building. It requires jQuery to function. jQuery is the main Bootstrap component. You can read about it further. The grid is the most important part of framework. That is the basis on which your site layout is created while CSS adds elements styling for forms, tables, buttons and other elements. Bootstrap comes with several JS plugins. It allows to implement different features to your site, such as tabs, carousels, sliders, etc. It supports both HTML5 and CSS3. You can check Bootstrap documentation for more details. Adaptive grid. It’s based on 960px grid, so it easily adapts to different browsers and screen resolutions. Simple usage. All elements are written in an understandable language. 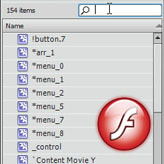 It includes basic elements, such as buttons, forms and tabs. Apartness of design. Skeleton easily adapts for your site design and interference. Grid Framework is based on 960 px grid. This system has 12 blocks. One row could have 12 small blocks or several wide blocks. You can easily create animation and effects using jQuery code. It has a great variety of events. You can easily find a great number of jQuery plugins on the Internet. You can find some plugins here. CSS allows to style website data. XML and JSON is used to transfer site content from the server to browser. Ajax is used for creating fast and dynamic pages. 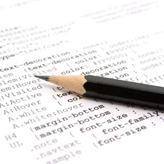 CSS web language has different frameworks available. You can read about some of them here. We will describe one of such frameworks. FontAwesome allows to add different icons to your site without image upload. It makes your site load faster, because your server is not overloaded with images. This library gives you a great opportunity to edit colors, size, shadows and other images settings by means on CSS code. Those are only a few libraries from that great variety of frameworks available today. To cut a long story short, we can say that all the important libraries have alike features. They are optimized for different screen resolutions and support multi-browsers. They can be easily integrated to your website. All the libraries that are currently available are well documented. You can easily find different solutions for the framework you’d wish to use on the Internet. 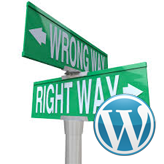 Almost all of the frameworks have additional plugins and that makes your work easier. It’s up to you to select library you want to use on your site. Remember about the result you wish to achieve and start choosing your library! And don’t forget to review our Bootstrap Admin Themes. This entry was posted in General tutorials and tagged css, framework, jQuery, js, library. Bookmark the permalink.